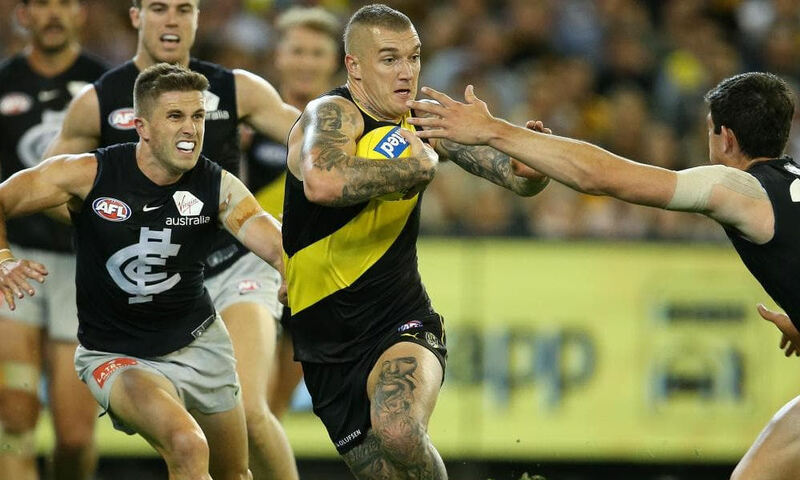 After an outstanding 2017 season Dustin Martin (2018 Ave: 92.8) regressed significantly this season, he averaged 103.8pts from his opening 4 games then went on to average 84.8pts from his next 13 games. The defensive part of the Martin role disappeared in 2018 which impacted negatively on his average, he found some form by averaging 108.0pts from his last 4 H&A games. Martin scored 100pts or more in 33.3% of games & 120pts or more in 4.8% of games in the 2018 H&A season, he scored 100pts or more in 68.2% of games & 120pts or more in 40.9% of games in the 2017 H&A season. There were suspicions Martin was playing hurt for the majority of 2018, he is a must watch during the upcoming pre-season for a change in role. Jayden Short (2018 Ave: 75.9) was firmly on the radar of many fantasy coaches at the mid-point of the 2018 H&A season, he averaged 93.9pts between Rounds 10-18. Short will be entering his 4th year and after a nearly a 20pt average increase in 2018 expectations will be high, he is worth a place on a pre-season watch list. Trent Cotchin (2018 Ave: 80.0) is under-priced compared to his previous career history, he is worth a look at during the pre-season especially if the Tigers can increase Team Disposals. Do we back in Dusty to get his output back up over a ton (105+ would be nice)… and more importantly, the Tigers to get a fantasy game about them again?